Randy Haag finally got the win he wanted so badly. Defending NCGA Player of the Year Jason Anthony got to be a part of it. 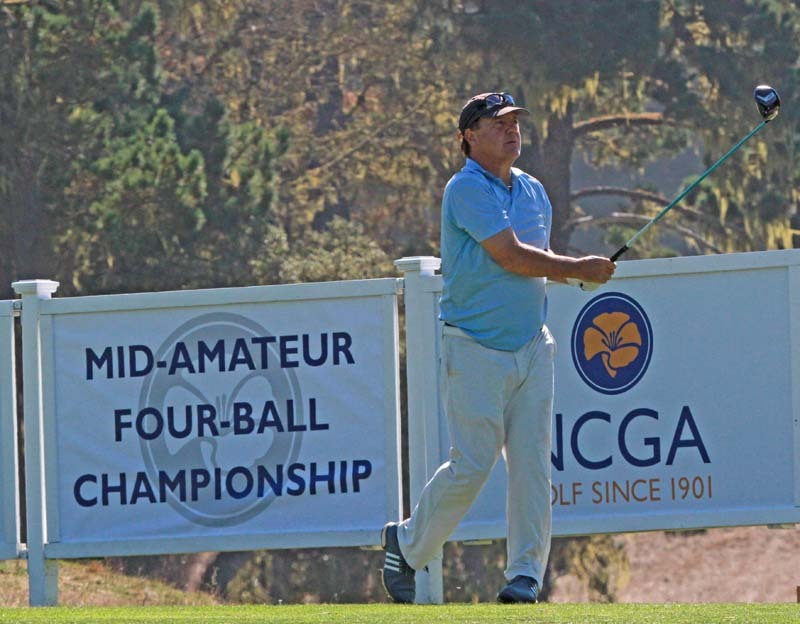 Haag and Anthony, who first met when they were paired together for the annual Hanna-Wehrman Cup matches a few years ago, claimed their second NCGA Mid-Amateur Four-Ball title in three years Tuesday at par-71 Poppy Hills Golf Course. The duo shot a final round 8-under 63 to come in with a record two-day score of 15-under 127. The 36-hole championship record had been 128, shot by the tandems of Scott Anderson and Mark Pavletich and Scott Olds and Kip Yaughn at Poppy Ridge GC. For the now 59-year-old Haag, who was recently inducted into the NCGA Hall of Fame, the win was monumental. It was his 16th career NCGA victory, tying him fellow NCGA Hall of Famer Casey Boyns for the No.1 spot on the all-time NCGA win list. The win also marked Haag’s fourth Mid-Amateur Four-Ball crown, tying him with James Hay for the most victories in the event. Haag also won two titles (2010, 2011) playing with Darryl Donovan. The two, who have also teamed up at the U.S. Amateur Four-Ball Championship, were yet again a force to be reckoned with. They’d card only one bogey over their 36 holes. In the crucial final round, Anthony went 3-under through the first four holes. On the back-nine it was Haag’s turn, as he’d card a 34. Finishing in second place 130 was the tandem of Rick Reinsberg and Garrett Wagner after a 64. The teams of 2017 champs Mike Stieler and Danny Paniccia and Kevin Alexander and Kevin Johnson finished T-3 at 131. Stieler and Paniccia would earn third place in a card-off. 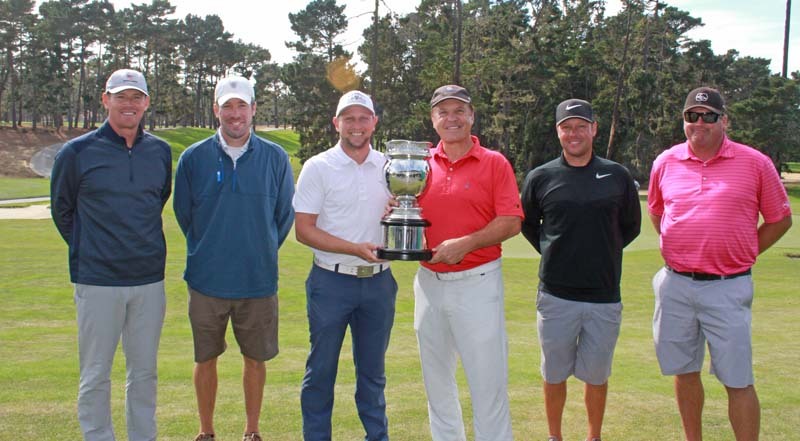 The last time the NCGA Mid-Amateur Championship teed off at Poppy Hills GC (2016), Randy Haag and Jason Anthony walked away with the title. The duo could be headed for their second title in three years. On Monday, Haag and Anthony took the first round lead with an opening score of 7-under 64 thanks to seven birdies, including five on the back-nine for a closing 31. For Haag, the win would be significant in a number of ways. 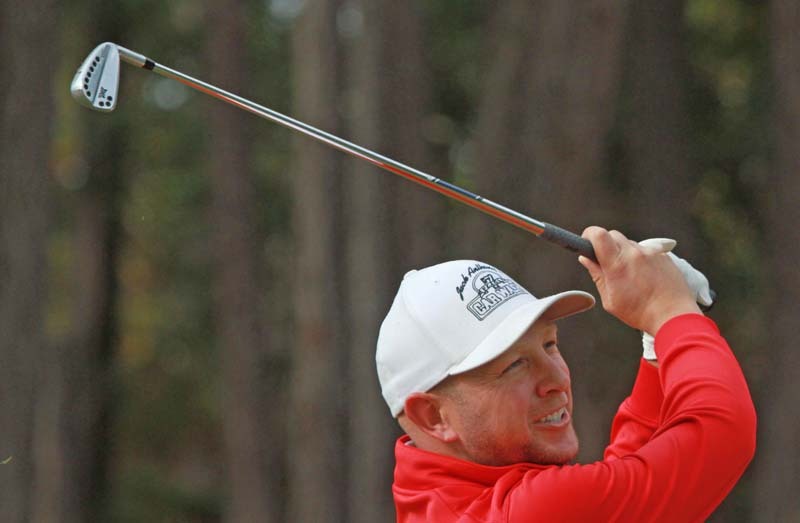 Recently inducted into the NCGA Hall of Fame, a win would tie Haag with Casey Boyns (16) on the all-time NCGA win list. It would also mark his fourth Mid-Amateur Four-Ball title, tying him with James Hay for the most victories in the event. Haag also won two titles (2010, 2011) playing with Darryl Donovan. Haag and Anthony don’t have much breathing room, however. Just a stroke behind the leaders at 65 are the tandems of Kevin Alexander and Kevin Johnson and Tom Koster and John DeSantis. 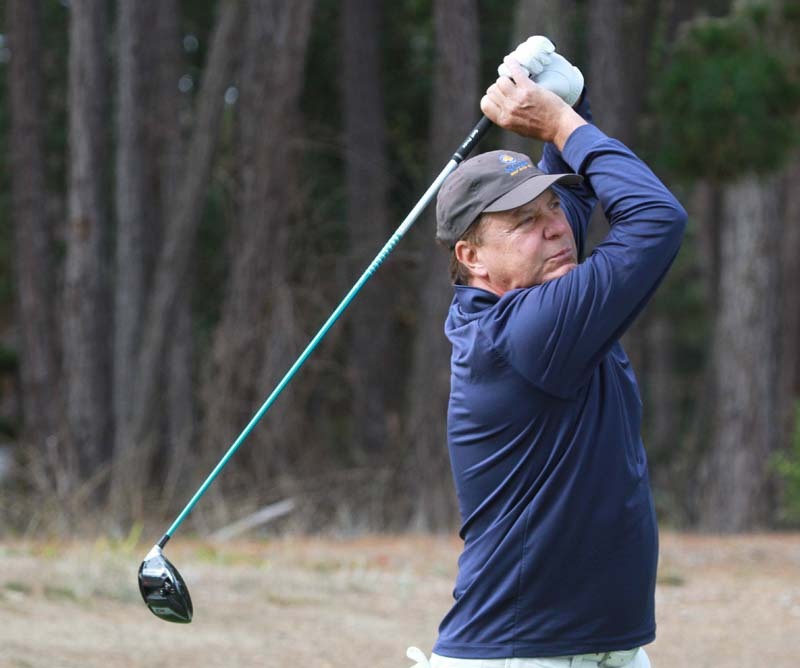 Five teams are only two strokes back at 66 including defending champions Mike Stieler and Danny Paniccia and 2014 winners Scott Anderson and Mark Pavletich. Jay Ward had the shot of the day, acing the par-3 8th hole using a 7-iron. 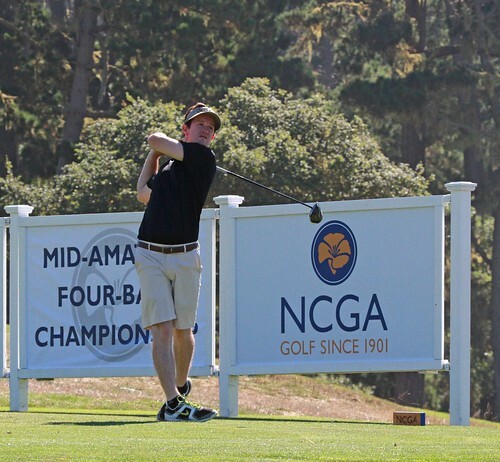 Tuesday’s final round will tee off at 7:30 a.m.
First played in 2004 at Poppy Ridge, the NCGA Mid-Amateur Four-Ball Championship is a two-person, better-ball scratch event for NCGA members 25 years of age and older (from 2004-2015 it was called the NCGA Master Division Four-Ball Championship for players 40 and older). The duo of Terry Foreman and James Hay won the first three championships, and in 2008 Hay won a fourth championship with partner Mark Hill. In 2014 the event returned to Poppy Ridge. The tourney record for low 36-hole score is 128, shared by 2014 winners Scott Anderson and Mark Pavletich and runner-ups Jon Peterson and Eddie Davis, who lost in a playoff. 2015 champs Scott Olds and Kip Yaughn tied the 128 record. The 18-hole record is 10-under 62, shot by Mark Hill and Brandon Toll at the 2017 championship at Poppy Ridge.